If you are planning to lose weight with veggies, lean meat like boiled chicken or fish or red meat etc. Then you are missing something very important and essential part of weight loss journey and that is all natural herbs and spices. Though natural stuff is always better but when combined with even more good things, the benefits increases. We will discuss 6 herbs and spices aids weight loss. Herbs and spice contains no extra calories, sodium, sugar or other stuff that affects weight loss journey. But they add flavor and numerous health benefits to the meal. You just cannot stick to the diet if you don’t like the taste of it. Herbs and spices are great to add flavor. For example, boiled chicken with boiled veggies, it will taste like you are sick. But if same meal is sprinkled or marinated with some grounded pepper, sea salt, thyme, rosemary or some paprika, it will taste delicious that too with healthy benefits. Weight loss is not any rocket science. You just have to bring little changes to your everyday life and exercise a little. That’s it. These little changes includes use of herbs and spices that boosts your metabolism, and speed-up the fat burning process. 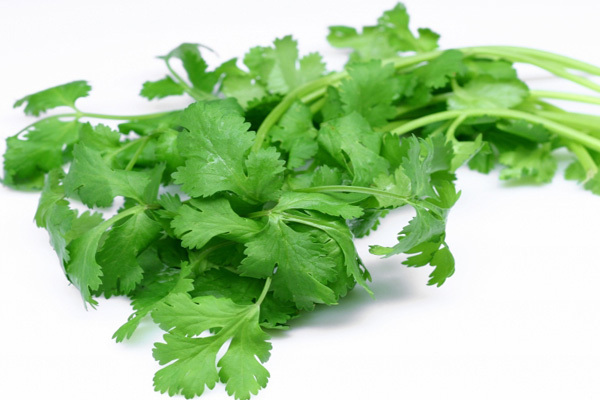 Coriander is a very common herb and essential ingredient in Asian cuisine. It has been known since centuries to add flavor and beautiful color to the meals. It also increases metabolic rate and aids in reducing weight.